When pursuing a dream, we all need the support and company of friends. 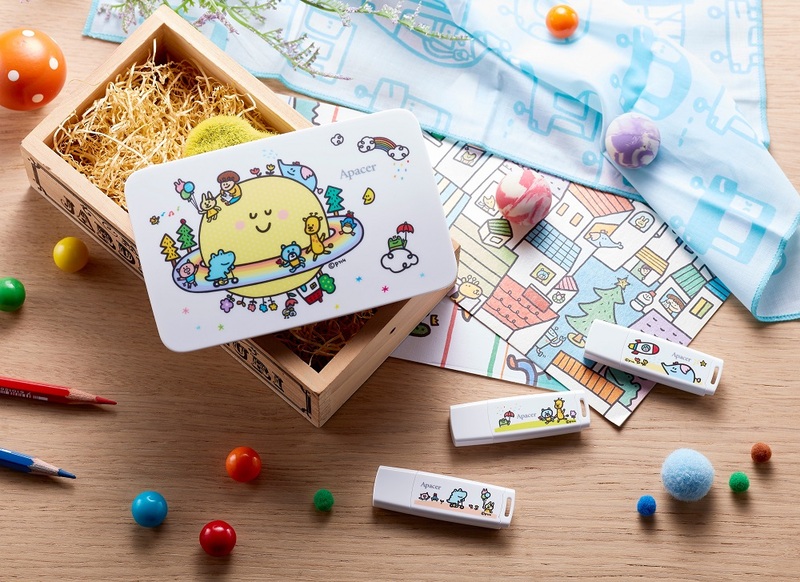 Apacer partnered with P714, a Taiwanese illustration brand famous for their heartwarming, adorable designs, in creating 3 special edition flash drives and an external hard drive under the theme “A Planet of Dreams”. The childlike illustrations not only embellish the exteriors with vivid energies, but also have meaningful messages. 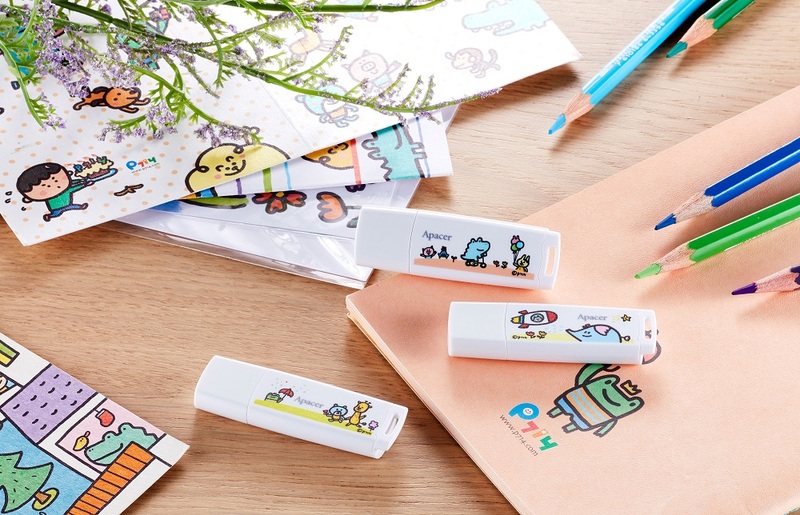 The themes of these Apacer x P714 AH336 flash drives, “Take-off”, “Companionship”, and “Support”, are about friendship and encouragement. On the other hand, AC233, an 1TB USB 3.1 Gen 1 external hard drive, is themed with “A Planet of Dreams”, leading everyone to wander in a colorful and warm planet. Illustrators Patricia and Felix create “P714 Planet” with their imagination. Their arts are filled with innocent and warming feelings which are inspired by their childhood. They also create several fun characters for the joyful planet and hope that everyone can find their pure heart through the warming illustrations. For this cooperative project with Apacer, P714 features the theme “A Planet of Dreams” namely a happy place where friends get together and make efforts for their dreams. The design celebrates the preciousness of companionship and support brought by friends. The pure white base color of AC233 portable hard drive and AH336 flash drive make them suitable for exhibiting adorable illustrations. The AC233 has a streamlined body that makes its appearance more prominent. With 1TB capacity, AC233 can keep a complete record of your precious moments. Besides, the AH336 flash drive has a strap hole that allows attachment to personal items, making it the perfect device to carry around and store your beautiful memories. Dreams are like flowers; you must water it bit by bit and wait patiently for bloom. Dreams can also be a rocket ship that takes off and soars with courage. The “Take-off” flash drive is a symbol of the beginning of chasing your dreams. Difficult moments and hardship are unavoidable along the journey to pursue a dream. A true friend for life is someone who reaches out to you with an umbrella to keep you sheltered when there is a storm. The “Companionship” flash drive depicts sincere friendship as a reminder that you will never be alone. A friend is someone who provides support, pumps you up with energy, and feels joy when you succeed. Each step of progress is especially meaningful when you know you have a friend by your side. The “Support” flash drive depicts the exciting moment when all the friends gather together to cheer for you and share their blessing.